I recently found a great article and tutorial on using your Facebook privacy settings and thought it would be a valuable topic to review. The article comes from a site called AllFacebook. It’s not a new resource, but I found their article entitled, “10 Privacy Settings Every Facebook User Should Know“, highly informative and easy to follow. Facebook is probably the most confusing space to use when it comes to personal and business messaging. It’s the place where all your worlds collide – friends, family, colleagues, old love interests – you name it, they are all there. Facebook offers a bevy of privacy settings that make it easy for you to fully manage the interface. You can show as much or as little as you like of your personal space. While these settings will keep you fairly protected, there is no way to keep all photos or videos from being visible if posted by your friends. Your best call in the world of Facebook is to use good judgement. Don’t forget you are creating a public profile and a history for all future employers and clients to scrutinize if they so choose! Need help with social networking? Call or email us to find out how you can automatically push content from your blogs to your social network profiles! Does Exposing Business Content To ‘Facebook Friends’ Constitute Spam? Does Exposing Your Business Content To Facebook Friends Constitute Spam? A client recently brought something to our attention on ‘Facebook Usage’ and we felt compelled to investigate. The usage relates to exposing business content or unsolicited commercial communication to your ‘Facebook personal profile or wall’ where your activity is visible to friends. Her concern was whether or not that’s accurately defined as spam. Ultimately, if it’s spam, are there consequences? To be more specific, we’ve been pushing our blog posts to both friends and also to our fans. With friends we justified this because we feel our content is [mostly] educationally based; however, if this constitutes spam we’ll be the first to admit we have been guilty AND we’re going to STOP! And I repeat, that includes the abuse of electronic messaging systems to send unsolicited bulk messages … including **social networking spam**. Why Do Social Networks Care? The success of a social network depends on how well they insulate their users from abuse. For a social network to remain relevant, they need a thriving user base. So, defining & preventing spam makes a great deal of sense. If registered user identities and activity are shared with marketers too freely OR if the environment becomes overrun with unsolicited spam, it’s unlikely those users will NOT stick around. We’ve said it before: “FREE services are BOTH provider & user loyalty FREE!” In other words the social network will bear the cost of invasive marketing spam by losing its’ capital – the *social* user. No more social users, no more content and no more social network! Twitter, for example, is a great example of a network that many business people use [or possibly abuse] for marketing purposes. We business folks can currently use Twitter to generate search indexing visibility and also to drive back links to our primary web presence. And in doing so, rather than purely to add & share value, are we undermining it for users who entered for the social value? In Twitter’s case, maybe or maybe not, but clearly Facebook is concerned. 1. 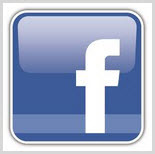 You will not send or otherwise post unauthorized commercial communications (such as spam) on Facebook. 2. You will not use your personal profile for your own commercial gain. 1. Pages are special profiles that may only be used to promote a business or other commercial, political, or charitable organization or endeavor. 14. Termination – If you violate the letter or spirit of this Statement, or otherwise create possible legal exposure for us, we can stop providing all or part of Facebook to you. Ultimately, this pretty much answers the usage question. The Fan Page is setup so that participants or ‘fans’ can authorize us as a business to send marketing communication; whereas, the spirit of a personal profile is social, for friends, family AND NOT unsolicited commercial marketing communication. Because Facebook retains the right to terminate your personal profile, our advice would be to ONLY point your business blogs feed into your Fan Page. https://www.kineticknowledge.com/wp-content/uploads/2015/08/kinetic-knowledge-logo2.png 304 300 Kinetic Knowledge https://www.kineticknowledge.com/wp-content/uploads/2018/08/KKLogoDarker-1.png Kinetic Knowledge2009-09-22 10:35:382015-10-02 02:05:59Does Exposing Business Content To 'Facebook Friends' Constitute Spam?